Asia’s top refiner China Petroleum & Chemical Corp (Sinopec) boosted spending on exploration and production by 41 per cent last year as crude oil reserves tumbled at its biggest oilfield. Its total cost for purchasing crude oil rose 41 per cent to 701 billion yuan because of higher global oil prices. 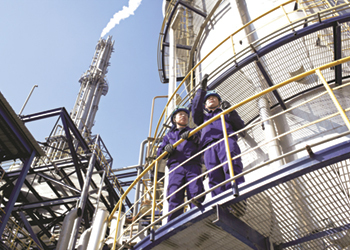 Sinopec plans to increase its crude processing rate to 4.92 million barrel per day (bpd), up from 4.88 mbpd last year. Its gasoline sales volumes last year were up 4.9 per cent to 88 million tonnes, while diesel sales volumes dipped by 4.7 per cent. Average diesel prices, however, rose 19 per cent last year. The refiner posted its smallest quarterly net profit since at least the third quarter of 2016 after its oil trading business Unipec registered one of China’s largest derivatives trading losses in nearly a decade. Sinopec’s fourth-quarter net profit plunged 76 per cent from a year ago to only 3.1 billion yuan because of the one-off Unipec trading loss. Its revenue increased 33 per cent to 818 billion yuan in the period, according to Reuters calculations.